Our Koffee with Kathy event is back and will be covering everything that has to do with ROSES! We are having a very special guest speaker for part of this seminar from Star Roses and Plants, it’s Laurie Mazzella-Bennett! 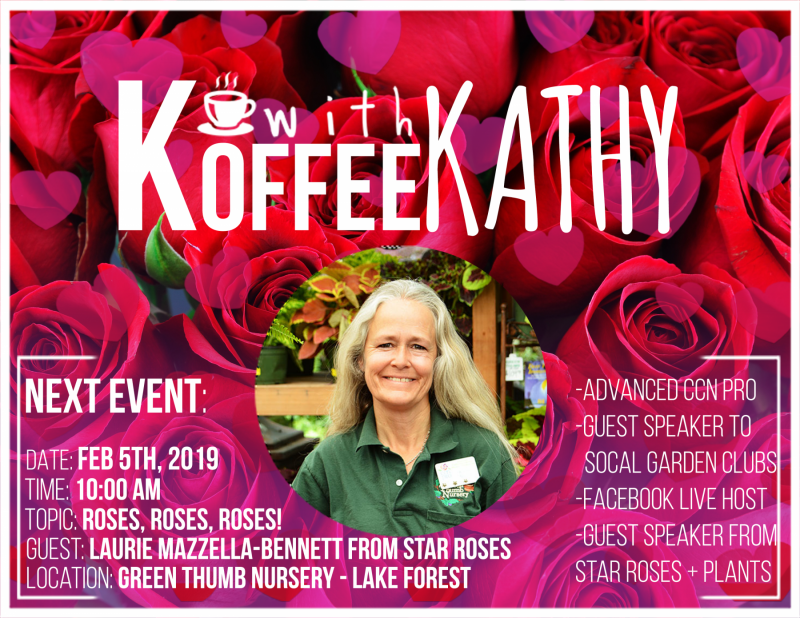 After Laurie presents, Kathy will take the reigns and provide some additional insight on rose tips, rose care and more! It’s going to be an awesome class you don’t want to miss! RSVP & Invite friends and family who you know would love to attend! See you here!